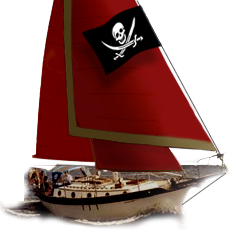 Westsail Owners Alliance - Thread: "Monitor Windvane For Sale"
Thread: "Monitor Windvane For Sale"
There are many different systems of windvane self-steering. Trim tab, auxiliary rudder and servo pendulum systems are just a few. The development of the servo-pendulum principle represented a break-through in windvane self-steering. As the boat moves faster with stronger winds, the power of the servo oar increases and this gives ample power to turn the boat?s own large rudder. The Monitor steering system is powerful and has positive yaw dampening which makes it possible to steer straight in difficult downwind conditions. The more it blows, the better the Monitor likes it. Consensus of opinion is that the servo-pendulum principle is the best method of self steering for most boats. A self-steering gear in a class of its own. The Monitor is crated and ready for shipment or pickup.